Take Maryland 33 towards St. Michaels. Turn at the Museum entrance just as you leave the historic district, and before you reach the Inn at Perry Cabin. Free parking. 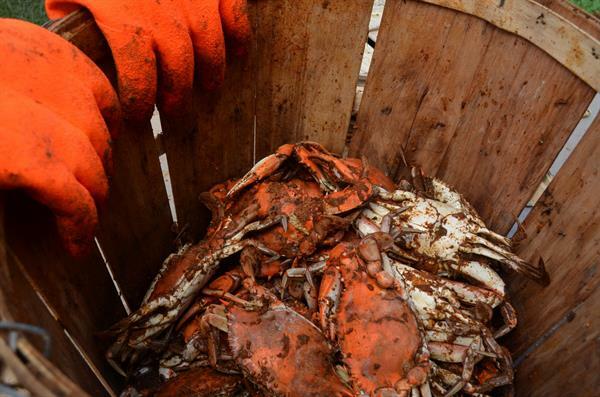 The Chesapeake Bay Maritime Museum's 18-acre waterfront campus, which includes Navy Point, was once was the site of a busy complex of seafood packing houses, docks, and work boats. 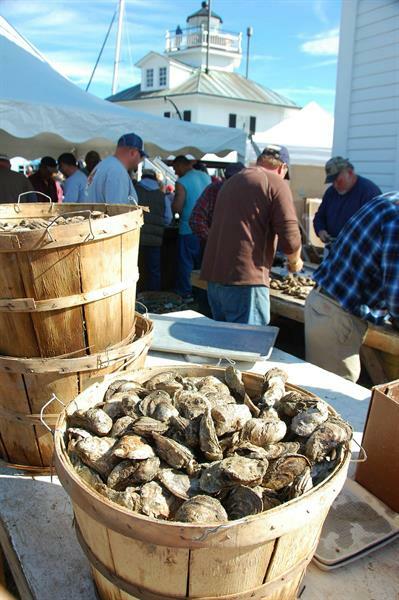 Today, it is the site of the nation's most complete collection of Chesapeake Bay artifacts, visual arts, and indigenous water craft. It is also home to the historic 1879 Hooper Strait Lighthouse. 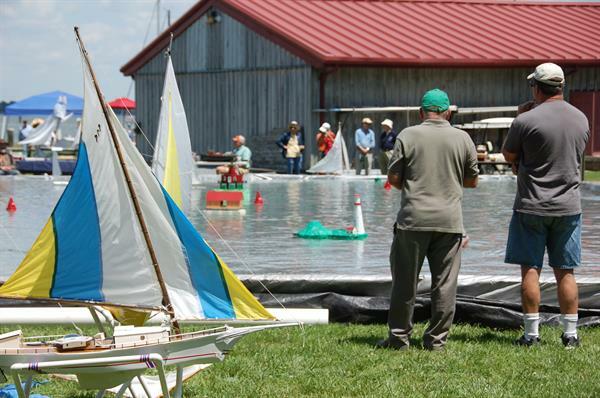 Exhibitions, public programs, and a working boat yard cover the range of Chesapeake Bay maritime history and culture--including the Bay's unique watercraft and boat building traditions, navigation, waterfowling, boating, seafood harvesting, and recreation. 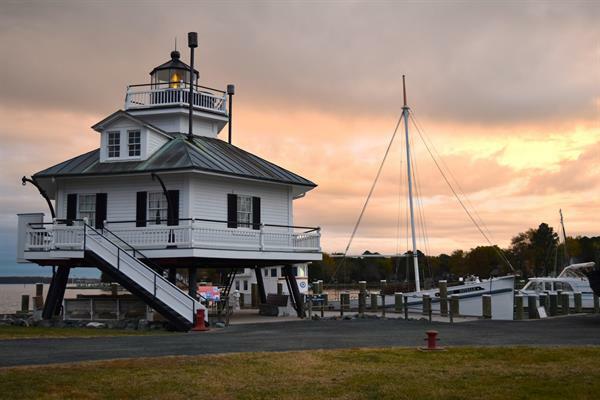 The Museum Store, located adjacent to the Museum entrance, offers one of the most complete collections of Chesapeake Bay books and maps as well as a wide assortment of gifts and Bay collectibles. 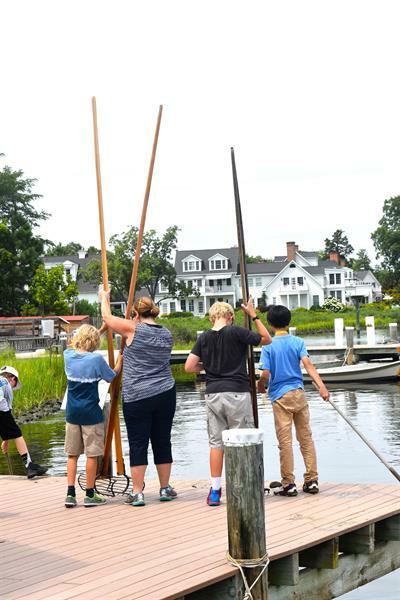 The Chesapeake Bay Maritime Museum is both a regional educational institution and a resource for community educators and students. As the only institution dedicated exclusively to the study of the Bay's history and culture, we strive to make our research, collections, and library accessible to scholars and learners of all ages. And we strive to find innovative and engaging ways to interpret the Bay's culture through hands-on learning for school students and teachers. 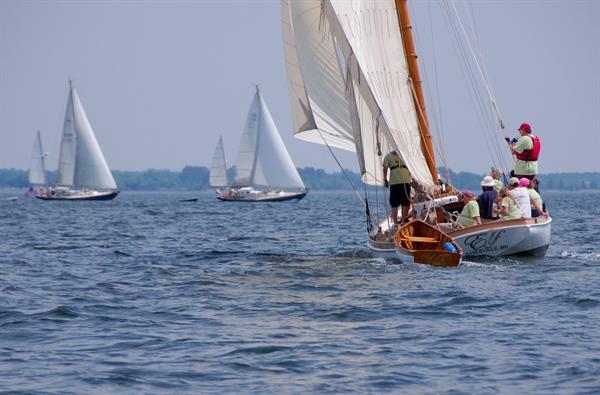 For a great fun filled day on the Bay, you'll want to visit the Chesapeake Bay Maritime Museum. Plan your experience with us here. 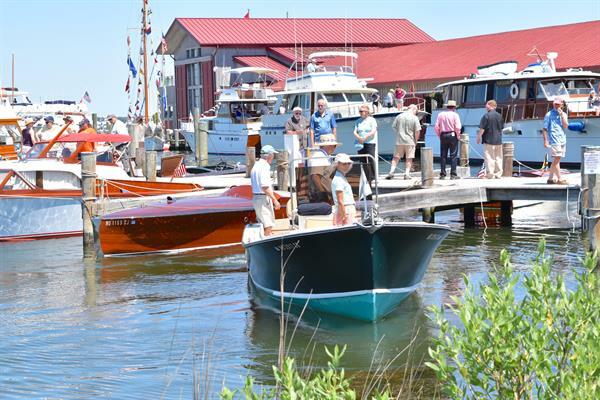 CBMM's floating fleet of historic Chesapeake watercraft is the largest in the world.